In cooperation with Hospodářské noviny we invite you to our two-day 2017 Aspen Annual Conference. This Aspen CE’s flagship public event is a large annual conference devoted to a specific topic to be discussed by high-profile guests, experts, decision-makers and policy-makers from all over the world. 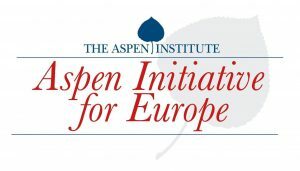 The conference is organized within the framework of Aspen Initiative for Europe. Registration to Aspen Annual Conference 2017 is now closed! Thank you to all those who have registered to attend the Aspen Annual Conference 2017 on November 29-30. Registration is now closed as we have reached our full capacity for the conference.